The Alzheimer's Association has developed the following checklist of common symptoms to help you recognize the warning signs of Alzheimer's disease. (Some of these symptoms also may apply to other forms of dementia.) If you know someone who has several of these symptoms, he or she should see a physician for a complete examination. Recent memory loss that affects job skills. It is normal to occasionally forget assignments, colleagues' names, or business associates' telephone numbers, then remember them later. People who have dementia, such as Alzheimer's disease, may forget things more often and not remember them later. Difficulty performing familiar tasks. Busy people can be so distracted from time to time that they may leave the carrots on the stove and only remember to serve them at the end of the meal. People with Alzheimer's disease could prepare a meal and not only forget to serve it, but also forget they prepared it. Problems with language. Everyone has trouble finding the right word sometimes, but a person with Alzheimer's disease may forget simple words or substitute inappropriate words, making what he or she says incomprehensible. Disorientation of time and place. It is normal to forget the day of the week or your destination for a moment. 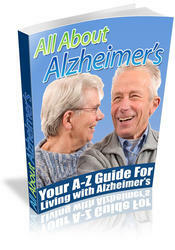 But people with Alzheimer's disease can become lost on their own street, not knowing where they are, how they got there, or how to get back home. Poor or decreased judgment. People can become so immersed in an activity that they for get for a moment about the child they are watching. People with Alzheimer's disease could forget entirely about the child under their care. They may also dress inappropriately—for example, wearing an overcoat on a hot day or wearing several shirts or blouses at once. Problems with abstract thinking. Balancing a checkbook may be difficult for anyone when the task is more complicated than usual. A person with Alzheimer's disease could forget completely what the numbers are and what needs to be done with them. Misplacing things. Anyone can temporarily misplace a wallet or keys. A person with Alzheimer's disease may put things in inappropriate places—for example, an iron in the freezer or a wristwatch in the sugar bowl. Changes in mood or behavior. Everyone becomes sad or moody from time to time. A person with Alzheimer's disease can exhibit rapid mood swings—from calm to tears to anger—for no apparent reason. Changes in personality. People's personalities ordinarily change somewhat with age. But a person with Alzheimer's disease can change drastically, becoming extremely confused, suspicious, or fearful. Loss of initiative. It is normal to get bored with housework, a job, or social obligations from time to time but most people soon regain their initiative. A person with Alzheimer's disease, however, may become very passive for long periods of time and require cues and prompting to become involved. Seek help and support from others. Do not try to do everything yourself. Keep an updated list of things that need to be done, and ask reliable family members or friends for help whenever you need it. Contact your doctor, local hospitals, and volunteer, community, and health organizations for information and referrals. Join a support group to share information and experiences with others in a similar situation. Consider hiring a professional caregiver through a licensed home health agency. Be realistic about the inevitable outcome of the disease. Prepare yourself to deal with the loss of your loved one. Talking things over with a close friend or relative or with members of a support group will help you come to terms with your grief. Be prepared to make informed decisions about long-term care. A person with late-stage Alzheimer's disease needs total care. As soon as you learn that your loved one has Alzheimer's disease, begin gathering information about long-term-care facilities in your area so you will be able to make an informed decision when necessary. Take care of yourself. Take regularly scheduled breaks; eat a nutritious, well-balanced diet (see page 4); exercise regularly (see page 11); do not smoke (see page 107); and get plenty of sleep. Limit your intake of caffeine and alcohol, and use relaxation techniques (see page 119) such as meditation and deep-breathing exercises to help relieve stress. Contact the Alzheimer's Association (800-272-3900) for additional information and advice on caring for a person who has Alzheimer's disease. Amyotrophic lateral sclerosis (ALS), also called Lou Gehrig's disease, is a progressive motor neuron disease that has no known cause. In ALS, the motor neurons (nerve cells in the brain and spinal cord that control muscular activity) gradually degenerate, causing the muscles to weaken and waste away, eventually leading to paralysis. ALS occurs during middle age, and men are more likely to develop the disease than women. Symptoms of ALS include tripping and falling, weakness in the hands and arms, and twitching and cramping of the muscles. As the disease progresses, it can cause difficulty speaking, swallowing, and breathing. In the final stages, although the person is aware and his or her intellect is unimpaired, he or she is unable to speak or move. Diagnosis of ALS is based on the symptoms and on the results of various diagnostic procedures, including electromyography (an examination that measures the electrical activity of the muscles), blood tests, muscle biopsies (removal of small samples of muscle tissue for microscopic examination), and computed tomography (CT) scanning and magnetic resonance imaging (MRI; see "Diagnostic Procedures," page 342). There is no way to prevent the disease or to reverse or slow its progression. Most people with ALS die within 5 years of diagnosis. Treatment focuses on relieving discomfort and helping the person stay independent for as long as possible. The person's life may be prolonged through the use of a ventilator (a machine that takes over breathing when a person can no longer breathe on his or her own) and feeding through a tube when a person has difficulty swallowing. In a person who has epilepsy, abnormal electrical activity in the brain causes seizures (temporary loss of consciousness or memory, or uncontrolled movements or behaviors). Epilepsy refers to a pattern of repeated seizures. The disorder can result from a brain tumor, stroke, head injury, lead poisoning, alcohol or other drug withdrawal, metabolic imbalances, or brain infections (such as encephalitis or meningitis). There are two basic categories of seizures: generalized seizures, which affect the entire brain, and partial seizures, which affect only one area of the brain. The two most common types of generalized seizures are grand mal seizures and petit mal (or absence) seizures. During a grand mal seizure, the person experiences loss of balance and coordination, loss of consciousness, and uncontrollable jerking movements. In some cases the person may also experience loss of bladder or bowel control. A grand mal seizure can last for several minutes and leave the person disoriented and exhausted. The person usually does not remember the seizure. Petit mal seizures occur most often in children. During a petit mal seizure, the person experiences loss of awareness that may last from a few seconds to about half a minute. 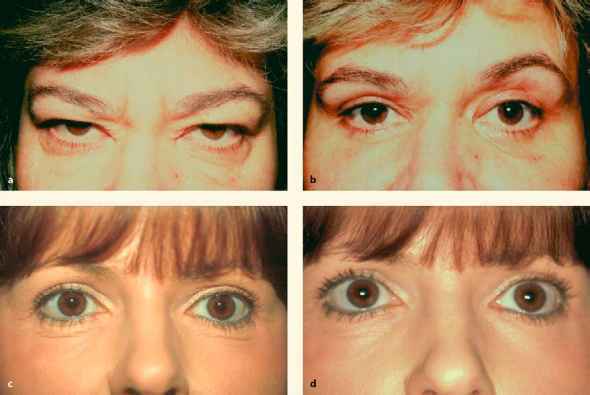 Some people also experience brief confusion, muscle twitching, or rapid eye movements. The person is not aware of the seizure, and the symptoms are often subtle and may go unnoticed; the person may appear to be inattentive or daydreaming. This type of seizure may occur hundreds of times per day, seriously impairing the ability to concentrate or complete even simple tasks. During a simple partial seizure, a person may experience sudden muscle twitches, tingling sensations, or hallucinations that affect smell, taste, or vision. This type of seizure lasts for several minutes. The person is aware of the seizure as it occurs and can recall what happened afterward. During a complex partial seizure, a person appears dazed and may perform involuntary actions such as walking in circles, laughing, speaking nonsensically, or smacking his or her lips. The person is not aware of his or her actions. Afterward the person is confused and does not remember the seizure. A diagnosis of epilepsy is based on the results of a thorough neurological examination (see "Diagnostic Procedures," page 342) and an evaluation of the type and pattern of the person's seizures. Because most people do not remember their seizures, information about the seizures is usually obtained from witnesses. The person will probably undergo an electroencephalogram (see "Diagnostic Procedures," page 342) to examine the electrical activity of the brain. Computed tomography (CT) scanning or magnetic resonance imaging (MRI; see "Diagnostic Procedures," page 342) will probably be performed to rule out other possible causes of the seizures, such as a brain tumor (see page 326) or a stroke (see page 323). The risk of having a seizure increases with stress, sleep deprivation, fatigue, inadequate food intake, or failure to take prescribed medications. Seizures often occur spontaneously, but they can also be triggered by certain stimuli such as flickering or flashing lights, loud noises, or monotonous sounds. If you have grand mal seizures, you may be able to sense an oncoming seizure through feelings of unease or a recognizable sensory change (such as a specific sound, smell, or visual disturbance) called an aura. Epilepsy is usually treated with anticonvulsant medications (such as primidone or diazepam) that prevent or control seizures. In rare cases, if medication does not control the seizures, surgery may be performed to remove the affected brain tissue. A special diet helps some people. Biofeedback (see page 118) also may be helpful. Most people with epilepsy live normal, productive lives with the help of medication.